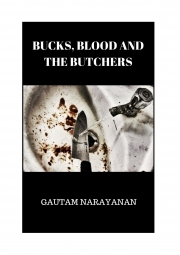 Description of "BUCKS, BLOOD AND THE BUTCHERS (eBook)"
Bucks, Blood and The Butchers is a collection of four distinct short stories. "Why" is a mystery story that deals with the murder of a little girl. "Drunken Dogs" tells the story of the rivalry between two underworld gangs. "Fishing" is a mystery thriller based on a fictional conspiracy. "Money Eaters" is a crime story dealing with a man's plan to murder his friend. Reviews of "BUCKS, BLOOD AND THE BUTCHERS (eBook)"